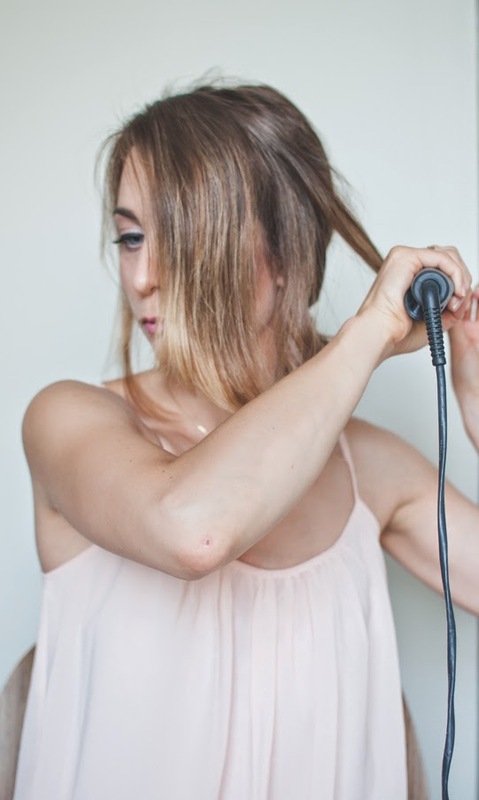 My Everyday Hair - How to Curl Hair with a Straightener in 5 Minutes | La Petite Noob | A Toronto-Based Fashion and Lifestyle Blog. Start by brushing out your hair. Any knots in your hair are best removed to make the curling process easier. Next, section off one third of your hair, starting from the bottom of your head. 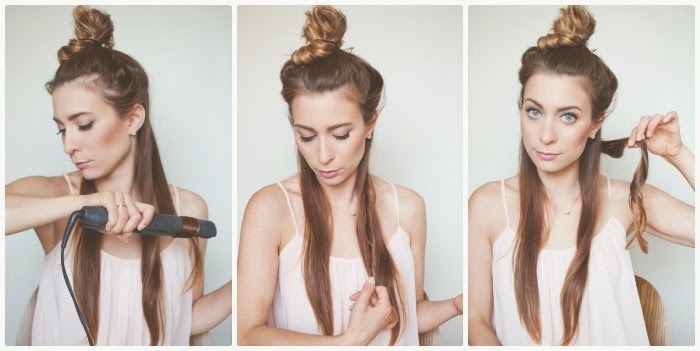 Throw the remainder of your hair in a messy bun. Now comes to the curling. 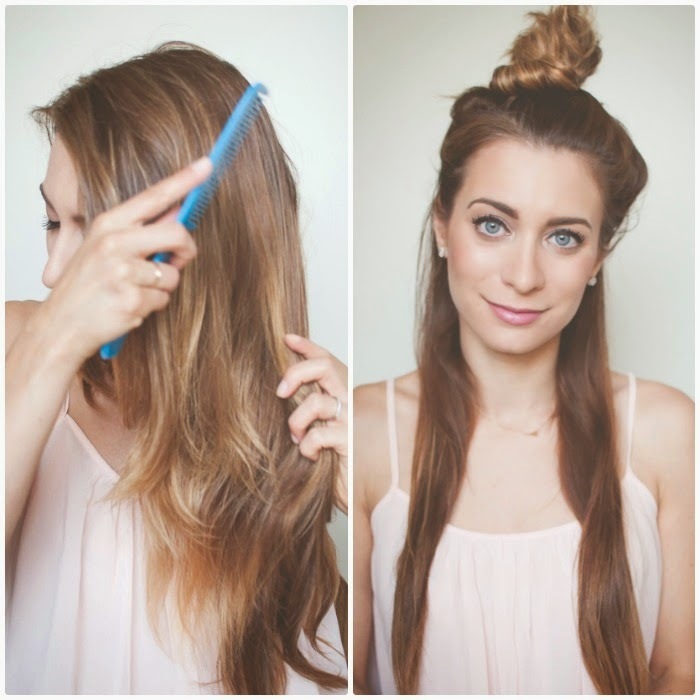 Separate a one inch section of hair from the rest. 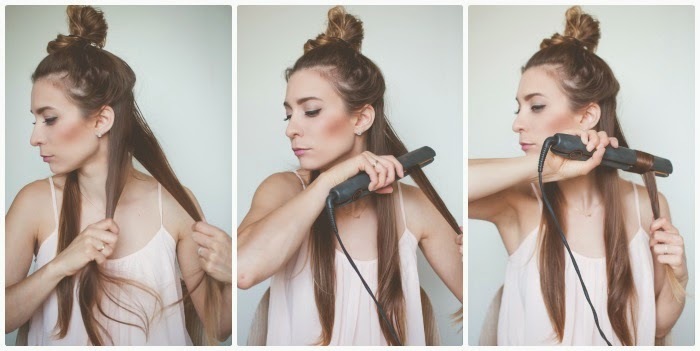 Clamp your straightener down on that one inch piece of hair and quickly rotate the straightener so that the ends of your hair are at the bottom again. Slowly slide the straightener down the piece of hair until it comes free and immediately twist the piece of hair in the direction that the curl has formed. Twisting the hair will help form the curl, and is an important step in the process. You now have your first curl. Let me show you that again. 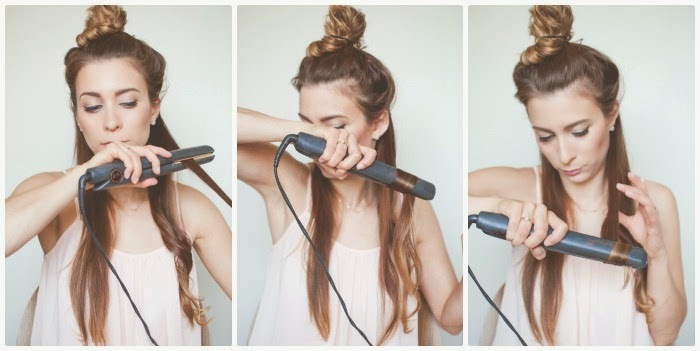 Clamp your straightener down onto another one inch section of hair and rotate the straighter until the ends of your hair are facing downwards again - turning the straightener towards your face. Once the ends are facing down, slowly drag the straighter down the one inch section of hair until it is free, twist the curl in the direction it naturally falls and voila - another curl. Once you're down curling the entire bottom section of hair, clip it together with a large claw-clip and let down another third of your hair, keeping the rest in a bun on top of your head. 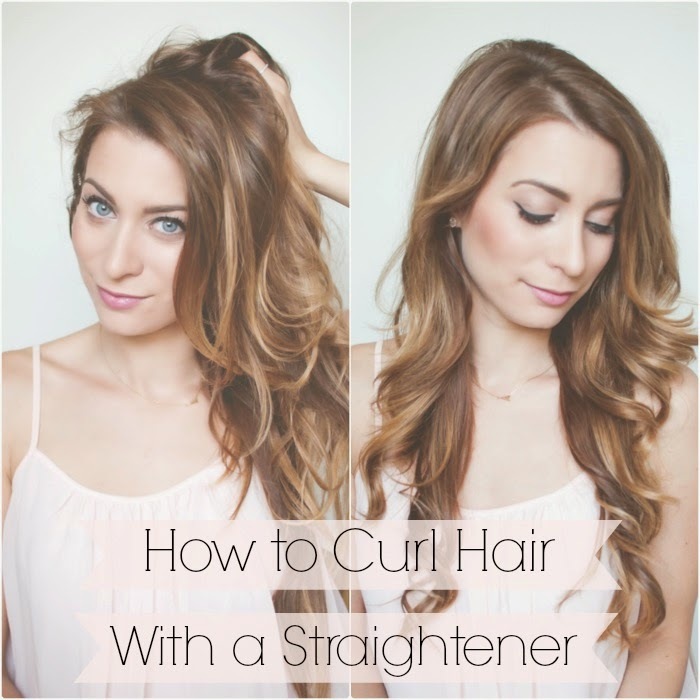 Repeat the exact same method to curl the entire section of hair, rotating the straightener to bring the ends of a one inch piece of hair to the bottom again and pulling the straightener through. Once you get the hang to the process, it doesn't take long at all. In fact, I would say each section of hair takes me about a minute to curl. I like a looser look, so I use one inch sections of hair but the general rule is that the less hair your take to make the curl, the tighter the curl will be. Similarity, the slower you drag the straightener through the hair to form a curl, the tighter the curl will be. Once you're done curling the middle section of hair, add it all to the clip at the back of your head and let down the rest of your hair from the bun. 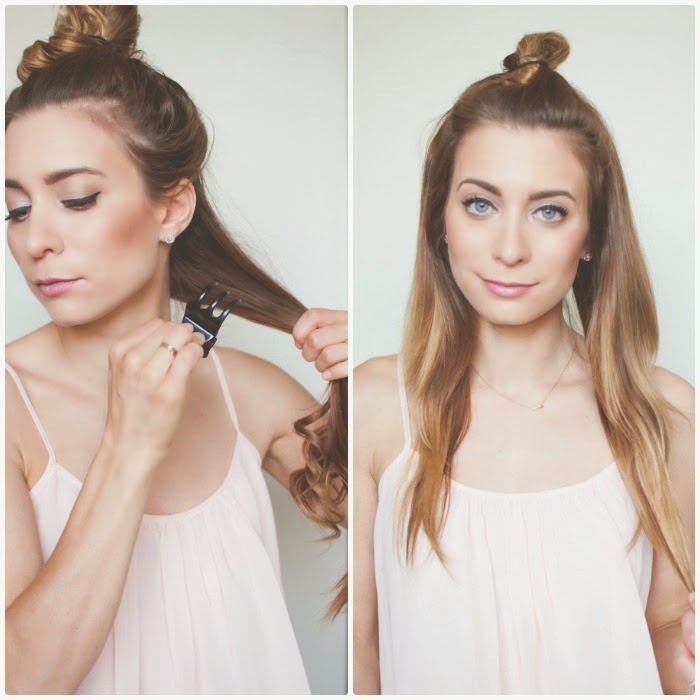 The bangs section of your hair can be the most challenging to curl, but I use the same method with a little twist. As I pull the straightener through my one inch section of hair, after rotating it to bring the ends to the bottom again, I pull the straighter away from my face. 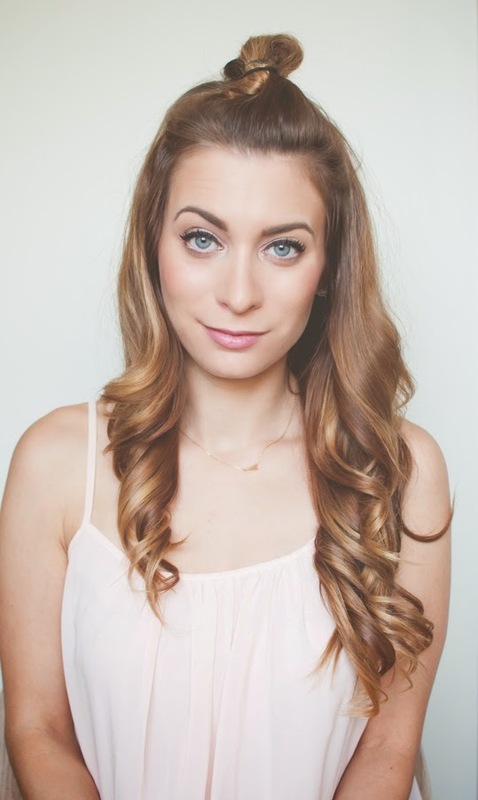 This gives a looser curl to your bangs, and gives more of a side-swept look. Once you have curled your entire head, gently shake out the curls at the roots while trying not to touch the curls themselves - the curls will fall though out the day, so you don't want to encourage that too soon. The last step is totally optional, but totally necessary for La Petite Noob - back comb at the roots for added lift and volume. Mama loves her some big hair. And there you have it - everyday curled hair using only a straighter (did you notice - no product!) This style honestly takes me no more than 5 minutes every morning and lasts all day - even in this Noob's fine hair. Try it out, and let me know how it goes! Your hair looks absolutely beautiful, it suits you so much! Your hair always makes me miss my long locks. You look stunning! Thanks Kristiana! So funny because your cute style makes me want to chop all of my hair off, haha! Love this- I like quick and easy! I'll definitely be trying this. Your hair is so beautiful and healthy-looking! 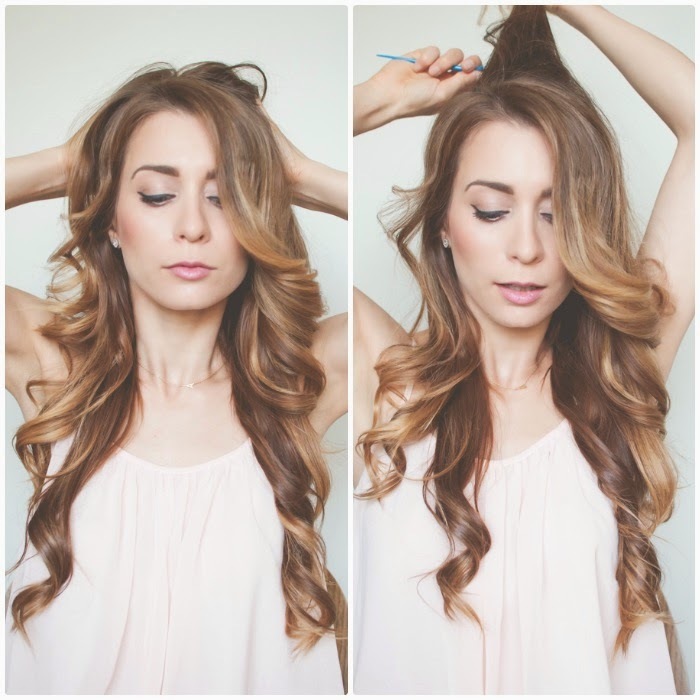 Have you ever done a post on your hair care routine? If not, would you consider doing one? I'm really interested! Let me know how it goes when you try it out! Thank you for your sweet comment about my hair :) I did a post about some tricks and products I used to grow my hair long when I first started the blog ( here ), but I will definitely do an updated hair care post - great idea! I have a habit of reading reviews of the desirable products before buying, because it helps me to know the best suggestions from the real users. Recently, I got to know about the highlighting features of Babyliss Pro curling iron, and they attracted me a lot, so I made up my mind to get one soon.